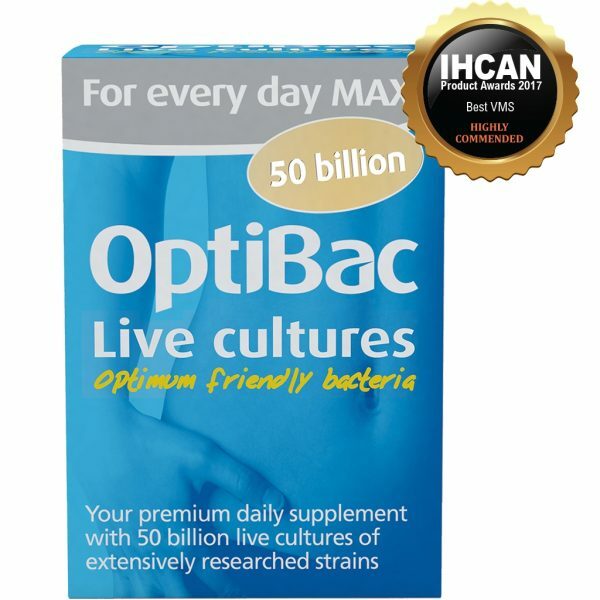 Premium highest strength live cultures supplement for everyday use. For anyone, from 4 year onwards, seeking a premium, maximum strength option. Each capsule: Provides 50 billion live cultures. Take one capsule daily. If desired, or professionally directed, can be increased to two capsules a day. For best results take daily and with food, preferably with breakfast and drink plenty of water with your course of live cultures. For anyone unable to swallow capsules, the contents of the capsule can be mixed with a cold meal or beverage. Do not exceed recommended daily dosage. Food supplements should not be used as a substitute for a healthy diet and lifestyle. Those with serious medical conditions should consult their doctor before use. 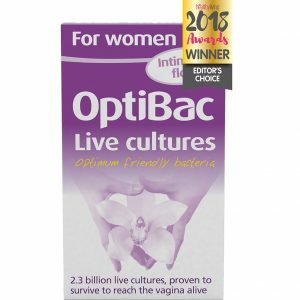 OptiBac will not cause dependency, and may be used on an ongoing basis. 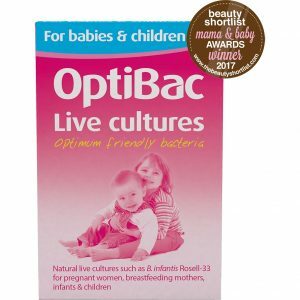 Storage: Like the rest of the OptiBac range, ‘For every day MAX’ does not require refrigeration. Store out of direct sunlight. Safety: Live cultures are not recommended for those with serious medical conditions e.g. those who are severely immunosuppressed, have pancreatitis, are in the ICU, have melaena, have a central venous catheter, infants with short bowel syndrome, or patients with open wounds following major surgery; unless under a doctor’s care. 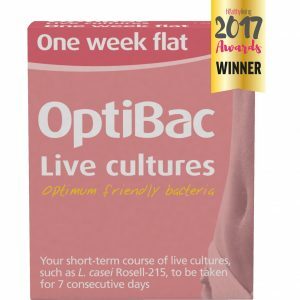 Ingredients: Live cultures: Lactobacillus acidophilus NCFM®, Bifidobacterium lactis Bl-04, Bifidobacterium lactis HN019; Vegetarian capsule: hydroxypropyl methylcellulose; stabiliser: micro-crystalline cellulose; anti-caking agents: vegetable magnesium stearate, silicon dioxide. Daily dose (1 capsule) guarantees 50 billion micro-organisms. Suitable for vegetarian and vegan diets. Looking for something specific. Use the search facility below to search through all our products. All payments are processed securely on our behalf by PayPal. We do not store any payment card details.